Go to “My Account” in the top navigation bar and click on the “[Your School Name]” tab. If it is time to renew, you will see a box on the right titled “Renew Your Membership.” Click the button underneath it that says “Renew Now.” You will be taken to the “Purchases” tab. Under “Pay Open Orders,” you will see one or more open order numbers. If you aren’t sure which order number corresponds to your student program membership, click “Review Details” to see more information. Click the checkbox to the left of the order number to select it for purchase. Please contact membership@njhs.us with any questions or issues when logging into your account. Click “Print Invoice” on the far right. Please be sure to submit the Primary/Additional Adviser or Principal Update Form. A confirmation email will be sent once the change has been made. Please allow 2 business days for processing. When you renew your National Junior Honor Society affiliation, you are supporting your students’ growth beyond the classroom. The affiliation fee is $385 and is good through June 30 of the school year for which you are renewing. Please note: Online renewal is encouraged. 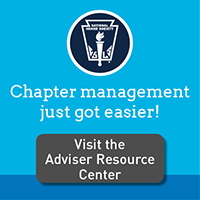 A chapter’s primary adviser or principal is able to renew online using his or her login credentials.